I won’t shop, cook or cut meat quite the same from now on. 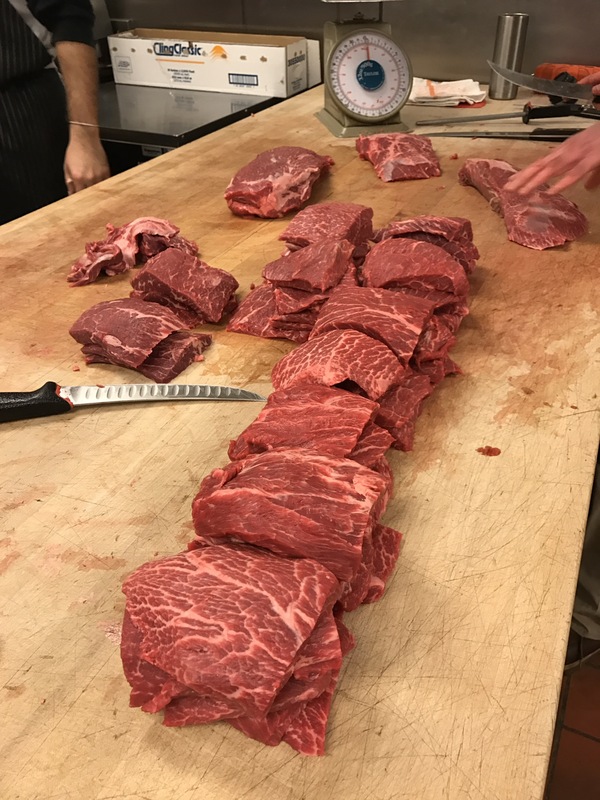 I had the pleasure of attending a Butcher Class at Urban Farmer recently. 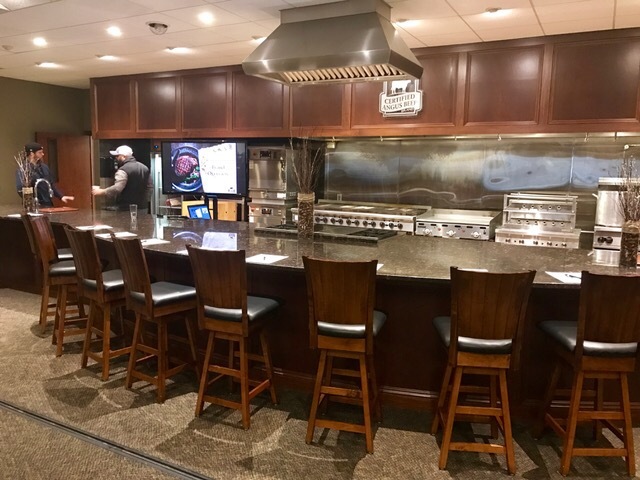 They went above and beyond to teach, answer questions and arm attendees with the information and know-how they’d need to select the best cuts of meat, and best utilize less popular, yet more economical cuts. Head Butcher and Urban Farmer Sous Chef, Vincent Delagrange, lead the class. He’s been professionally cutting meat since 2011. He knows his stuff. 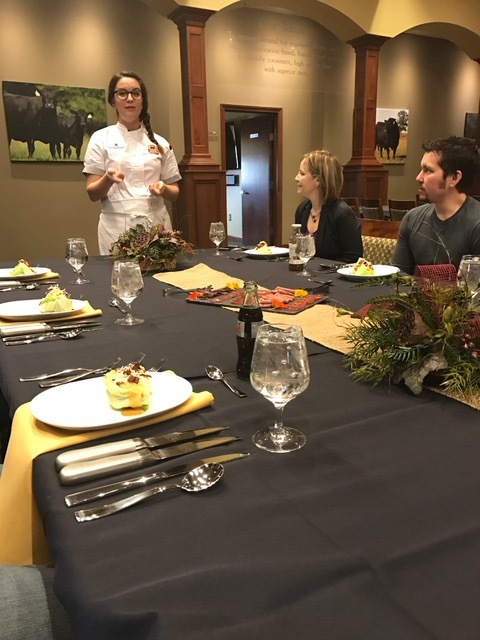 He whizzed through the prepared Beef 101 slides, covering the basics, like “What is a steak?” (2″ thick or under with a quick cooking method) and “what makes it tender?” (It’s inversely related to the amount of work a muscle has to during the life of the animal). Fat is flavor, and the fattier the beef, the beefier the flavor. This is an equation I can study. Delagrange also touched on U.S.D.A. 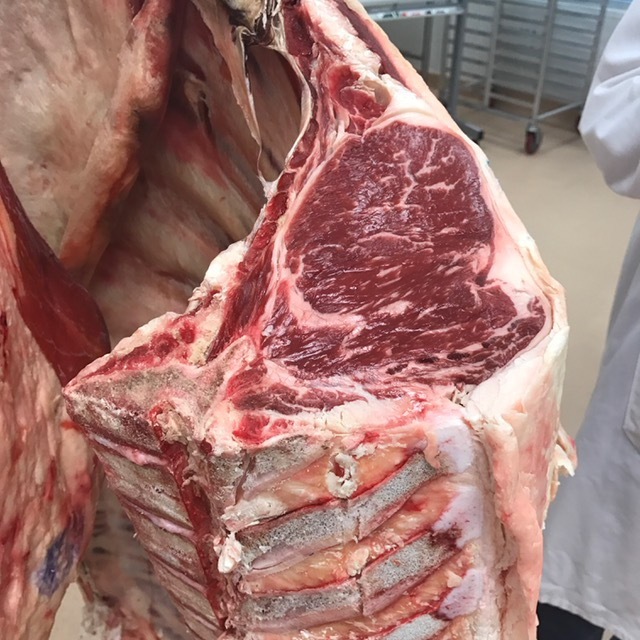 grading, explaining that most meat we see in a butcher shop of the meat counter is Prime (highest designation, less than 2% of cattle) or Choice (less marbling, but widely available), occasionally Select (lean and less available, potentially tough). And then there’s is Wagyu. It’s the Cadillac of cows, people. 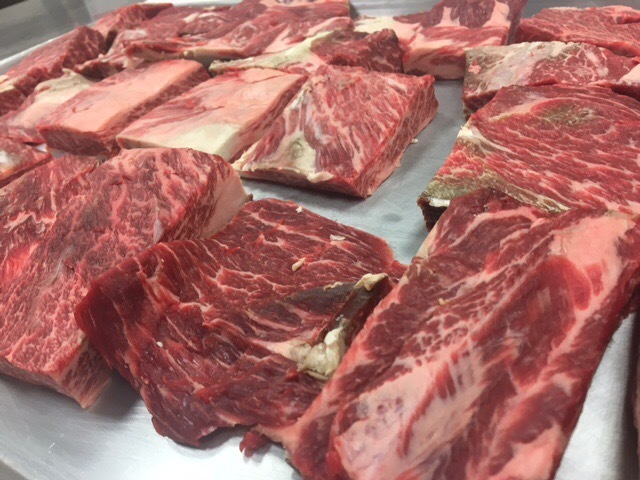 It has a high percentage of marbling which far exceeds that of USDA Prime. Yes, please. 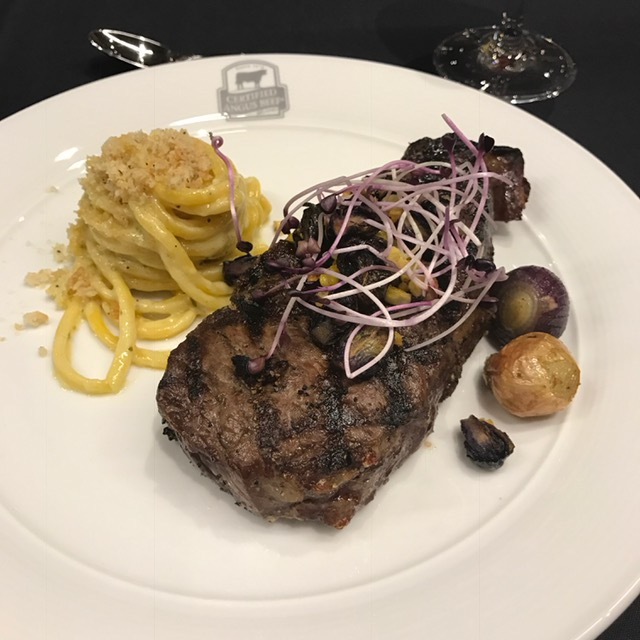 And get this: “Kobe” beef isn’t really Kobe beef unless it is from Tajima breed cows raised in the Hyogo prefecture of Japan, and you’re eating it in Japan. They don’t export it. So all those times you THINK you’ve purchased or been served Kobe beef…you were duped. How about that?! 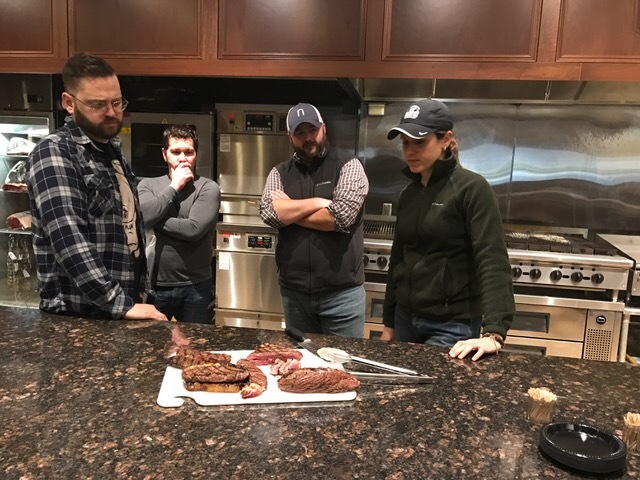 We did a blind taste teste comparing the Prime cuts they source at the restaurant, versus a Choice cut offered at a large (unnamed) grocery chain. Not a tough call. Delegrange was happy to answer all kinds of questions the group had about shopping for beef too. 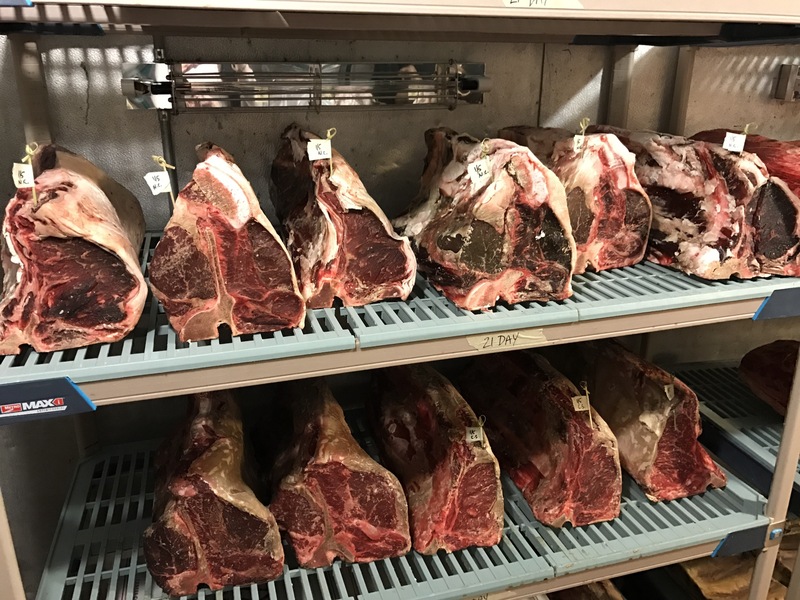 Like “What day is best to shop for meat?” Answer: find out which day of the week your local butcher or grocer gets their shipments. And that’s the day! Likely Friday morning is good. For large chains, Delegrange suggests checking their ads. The first day sales take effect you’re sure to find the freshest product. And for markdowns…try Sunday evening, or Monday. What I was surprised to hear was those markdowns haven’t been sitting there for days…only a couple of hours. So scoop them up, check the freshness or sell-by date and save! 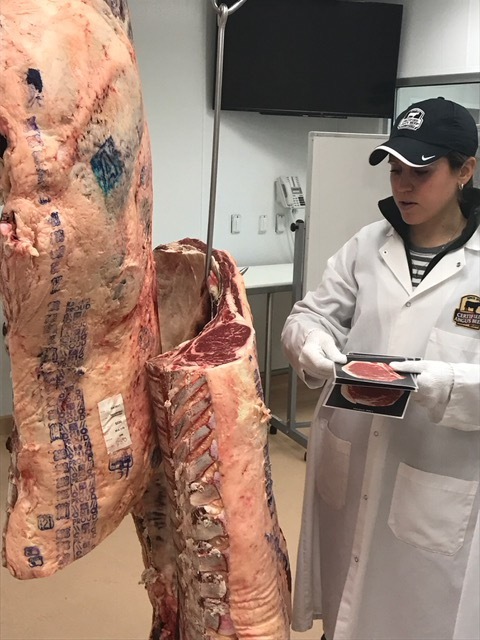 I learned that you can identify high quality meat by look and touch. There should be exterior fat (remember, fat=flavor!). Press on the side of that fat. You’ll want it spongey, or to bounce back, not firm. And you’re looking for a good balance or ratio of interior or marbelized fat to exterior fat. Delegrange also suggests secondary cuts to satisfy your beef craving and your budget. Swap Ribeye for Chuckeye, Tenderloin for Sirloin and Strip Steak for Coulotte. The idea is to buy a piece of meat that can be grilled and sliced to serve a larger number of people. The guy has four kids at home. I trust his advice! He also favors the flat iron, tri tip, Babette and ribeye cap. 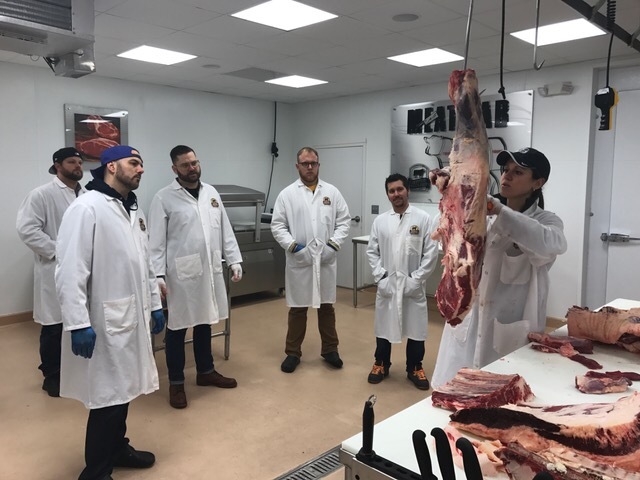 The group also got a first hand look at how dry aging is achieved and how animals are broken down at Urban Farmer’s in house butcher shop. And get a lot of their charcuterie program! Meat me, please! 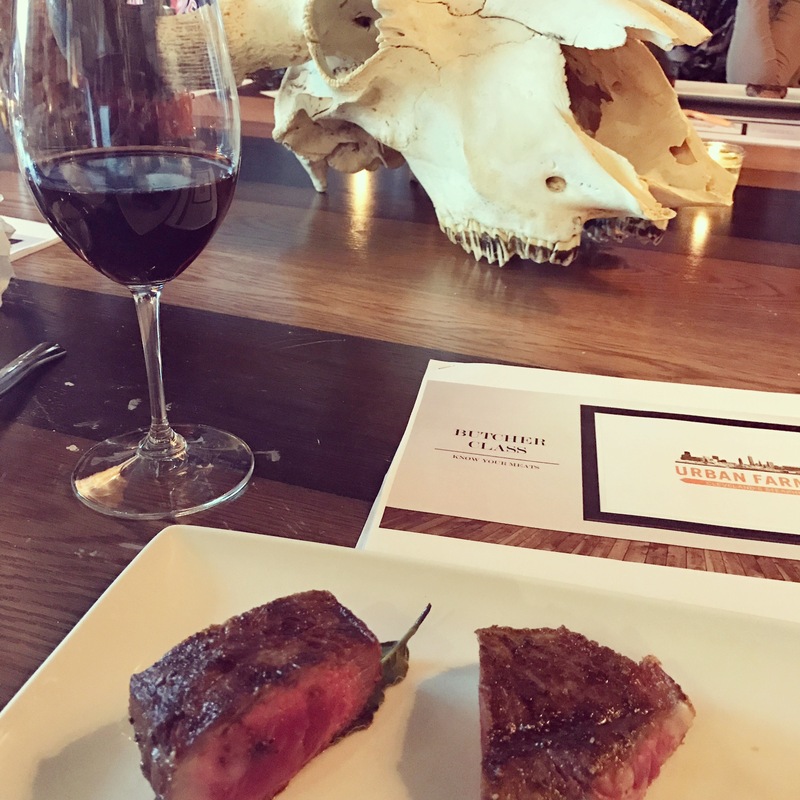 We were given a handful of great recipes from Delegrange, plus some helpful handouts to help decider between corn-fed, grass-fed and dry-aged beef for the purposes of shopping and ordering at our favorite restaurants. And BONUS: there were swag bags with “Beefy” t shirts (which I admittedly had my eye on at the hostess stand) plus some seeds to start our garden this season. If you haven’t yet heard of Cleveland’s glamorous “Lady Butchers” let me be the first to e-introduce you. Penny Barend and Melissa Khoury have been making waves in the form of sausages, in the traditionally male-dominated world. And these ladies kill it. They are well-respected, skilled artisans. And they’re ready to take their business, Saucisson, to the next level. The pair recently launched a Kickstarter campaign to help them fund the renovation of their long-awaited brick and mortar shop. 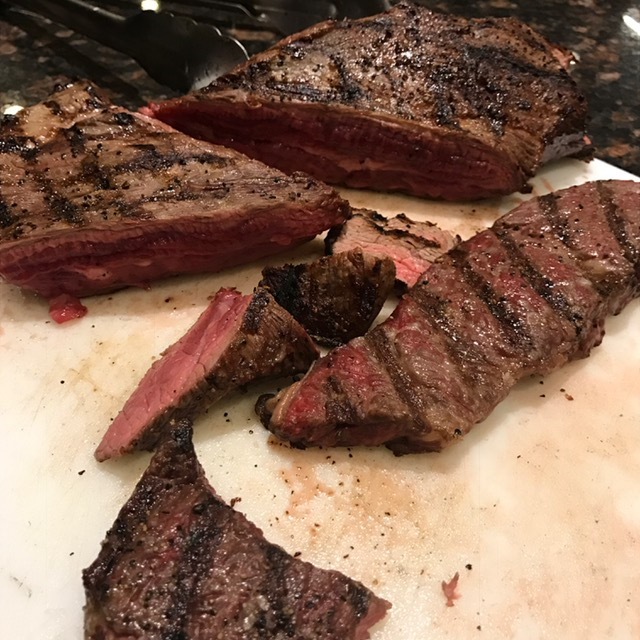 Let’s talk meat! Cheftovers: For those unfamiliar with your “body of work” tell me about your specialties, and skill sets. Cheftovers: Where have you been selling your product and where can people find it this summer? 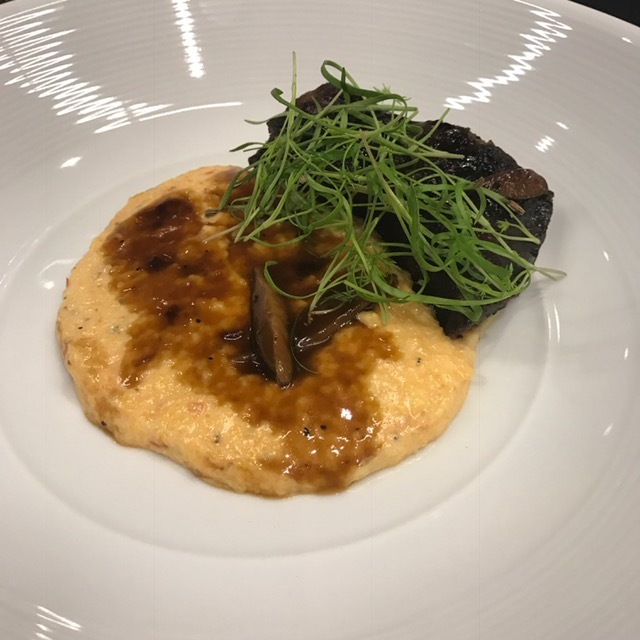 Cheftovers: Why make the move to open a brick and mortar place? Cheftovers: Why launch a Kickstarter campaign and what are the challenges associated with that? Cheftovers: Why the Fleet neighborhood and this particular space? Cheftovers: What needs to be done to the space? 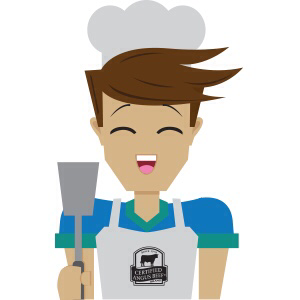 Cheftovers: Besides your choice cuts of meat, what else will you prepare and sell in the space? Cheftovers: What other plans do you have? Saucisson: Our plan is to keep that space as active as possible. Classes for adults & children, workshops, wine tastings, beer tastings, pop up dinners, and community cookouts. As of the publishing date for this post, with 24 days left in their Kickstarter campaign, The Lady Butchers were nearly 50% funded by 124 backers. If you’d like to contribute to their cause, they’re offering a variety of incentives, including lower level rewards like t-shirts and bumper stickers, and larger ones, like several pounds of sausage and even charcuterie items and a meat of the month club. The project won’t be funded unless $25,000 is pledged by May 1, 2016. Click here to support them. The term “Rise and Shine” was made for people like Trevor Clatterbuck and Adam Lambert. They have been getting up before sunrise for months, working long hours readying their new project. And it’s pretty exciting. Both are heavy weights in Cleveland’s local food scene independently, (Trevor is the man behind Fresh Fork Market, a very popular CSA business (community supported agriculture) in Cleveland. 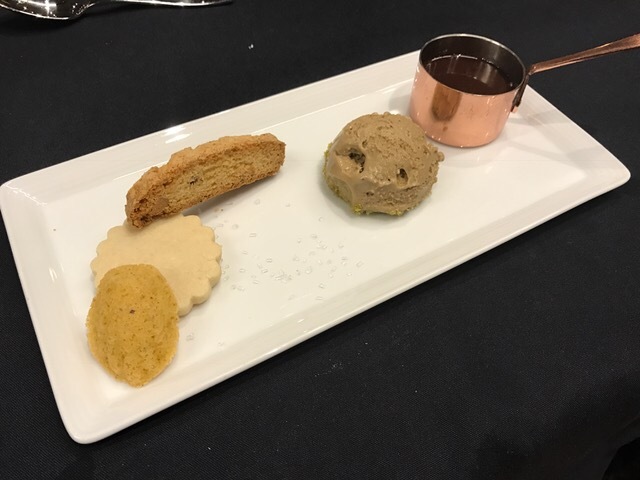 Adam is a well-established local chef, who’s logged hours in the kitchens of Bar Cento, and The Black Pig, to name just a couple) but together they’re doing something that isn’t being done anywhere else in town. 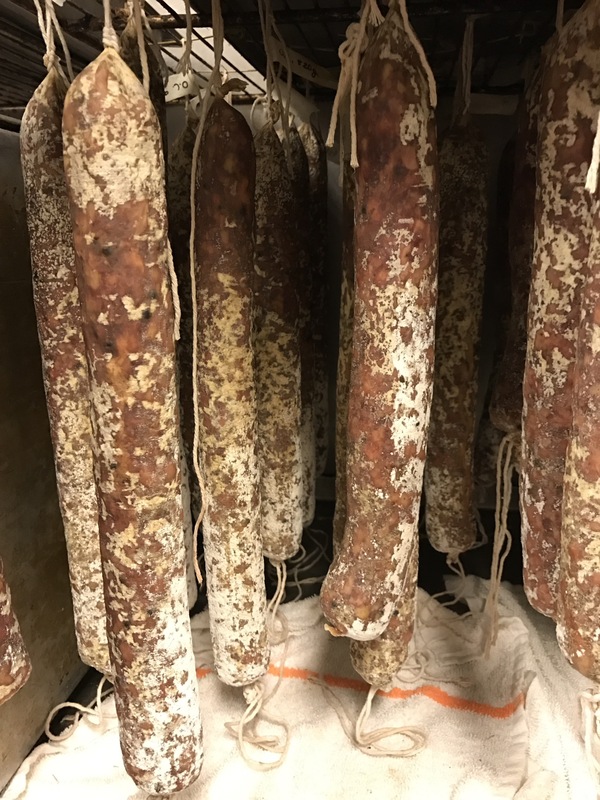 The plans are to open up a market and butcher shop in the Ohio City neighborhood of Cleveland, near St. Ignatius High School. The two plan to grow or raise everything they’ll sell there. 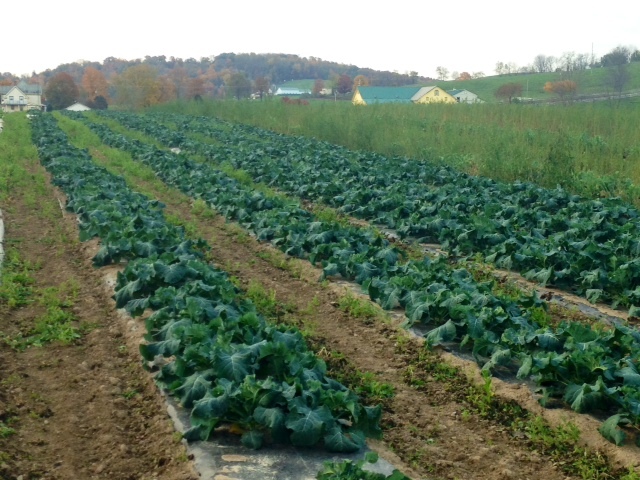 Fans of Fresh Fork will find all the good quality produce they’re used to (sourced from farms within 75-100 miles of Cleveland, organic when possible, and picked at the peak of freshness). 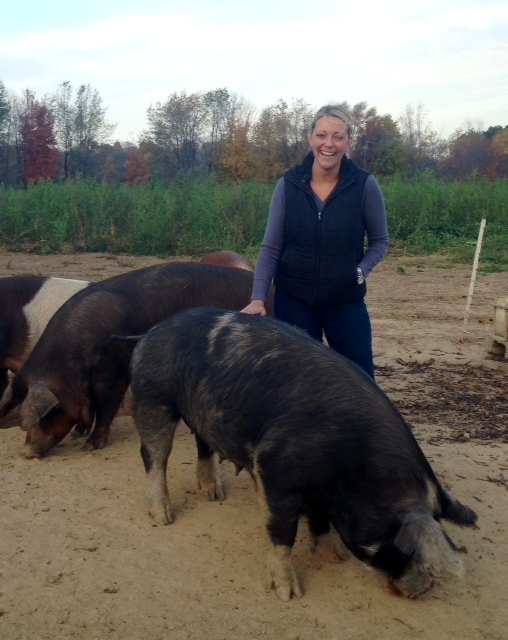 But what’s new, innovative and mouth-watering…is what they’re doing with hogs. 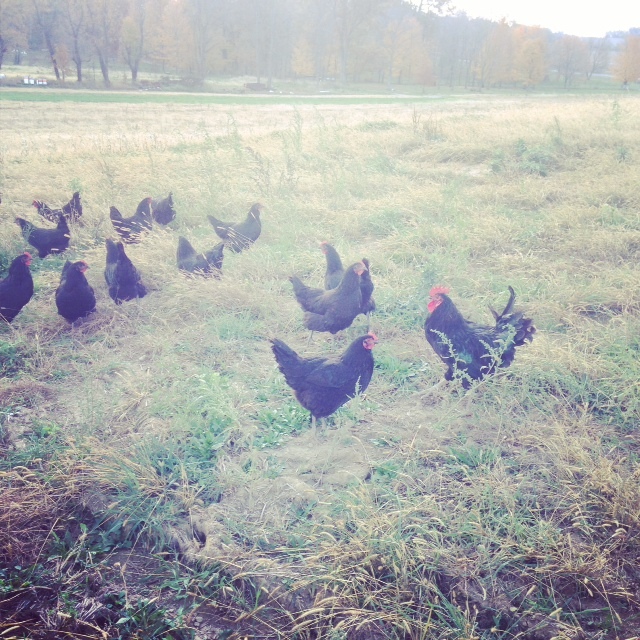 The pair have been experimenting with animal husbandry and feed to develop meat that you can’t get anywhere else in the state. 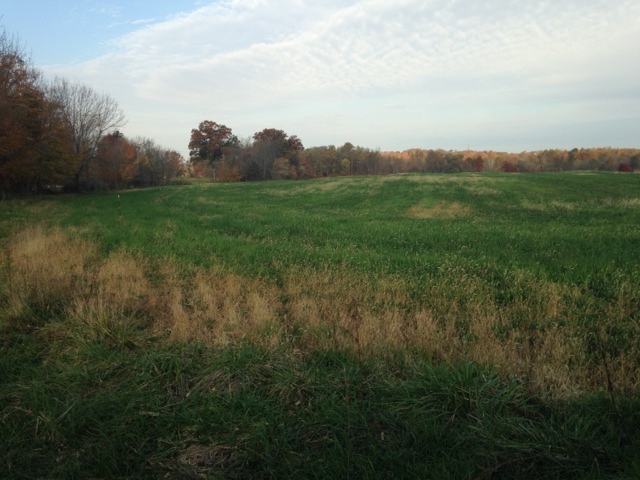 I got a tour of the property in Holmes County where they have about 150 hogs on site. 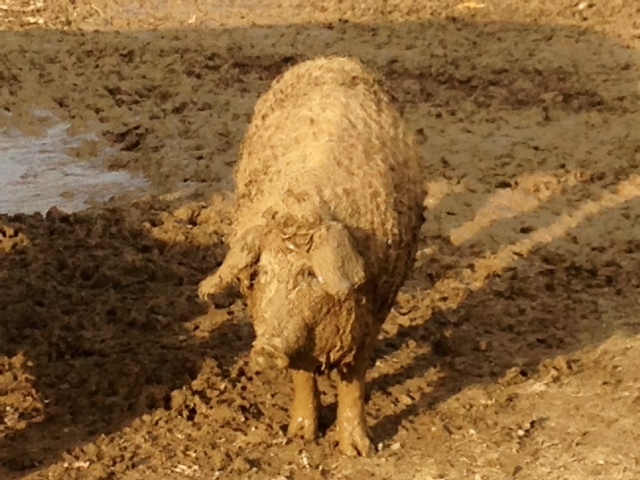 Mangalitsa, Berkshire, Mulefoot, Red Wattle…all new vocabulary to me. But what they have planned is not…charcuterie. Yes, please! They’ve got a supply chain in place, thanks to their “adventures in hog sourcing.” The details of which the pair chuckle about, but don’t care to share. After all, learning about heritage breeds is new territory for them too. Clatterbuck has a background in business and political science. Lambert is a self-taught chef. 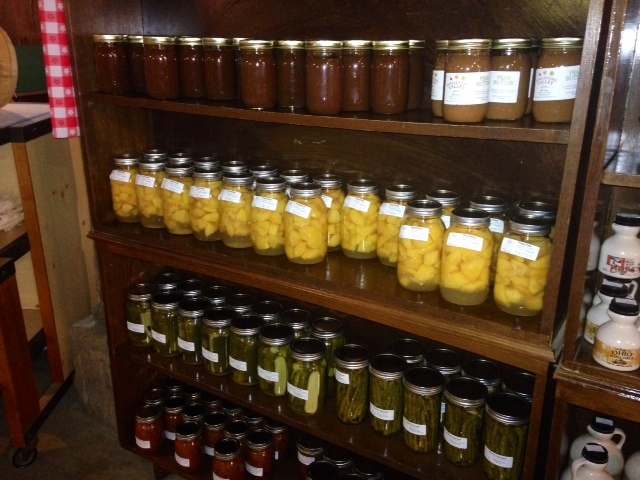 But the two both seem right at home on the 200 acre property where they plan to get a lot of their product. They’re promising the best pork in the state. The red wattles are said to be more tender. 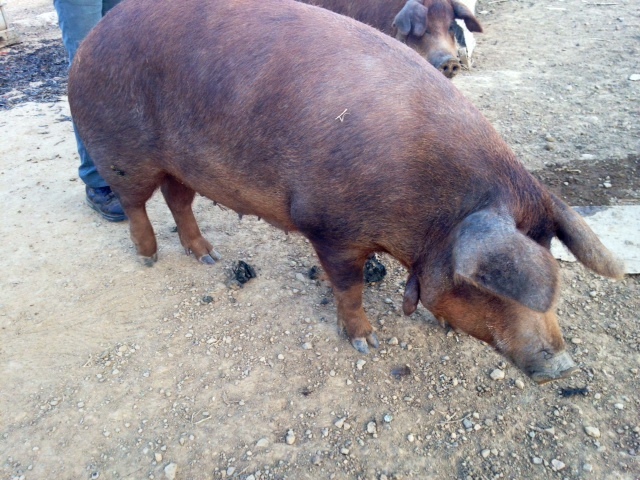 The mangalitsas, used for things like Jamon Iberico. What takes time, but will be worth the wait, I’m told…is controlling the product…all of it…from start to finish. They are playing with breeds and what they feed the animals to get optimal product. 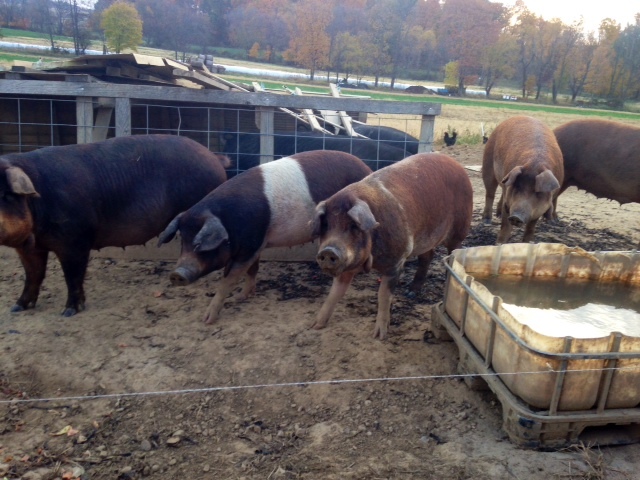 These hogs are given specific ratios of barley and grass from the fields. Lambert says they have marbled loins, and even appear more red than pink when you cut into them. Plus, they’re also raising other animals. 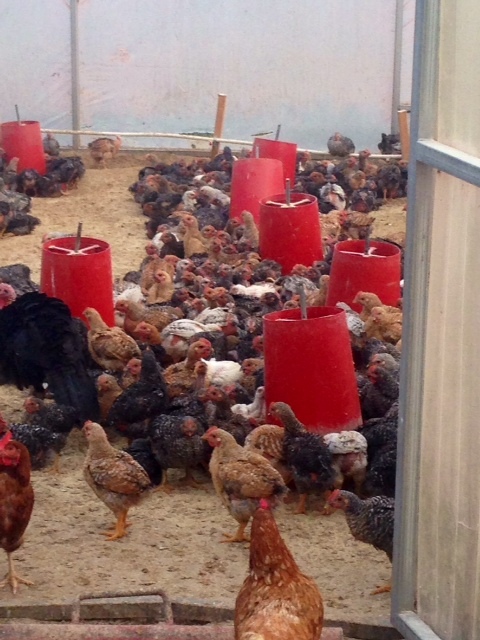 They have laying chickens, meat birds and heritage birds, whose pens and coops are moved weekly to insure exposure to fresh grass and soil for them to feed on, not to mention fresh air. 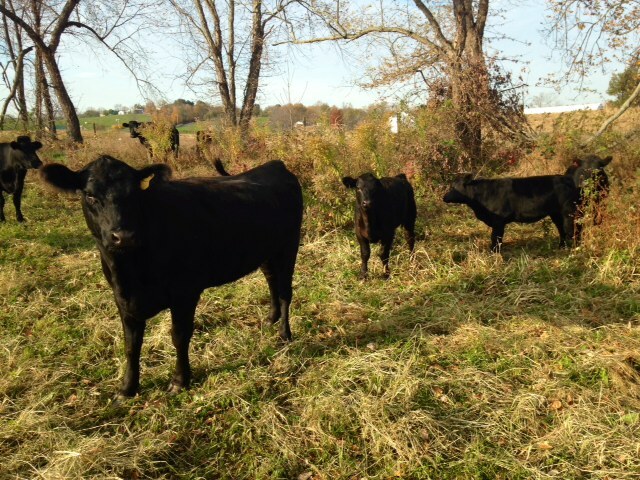 The Hereford beef they are raising will be grass-fed, sustainable and have better flavor, according to Clatterbuck. 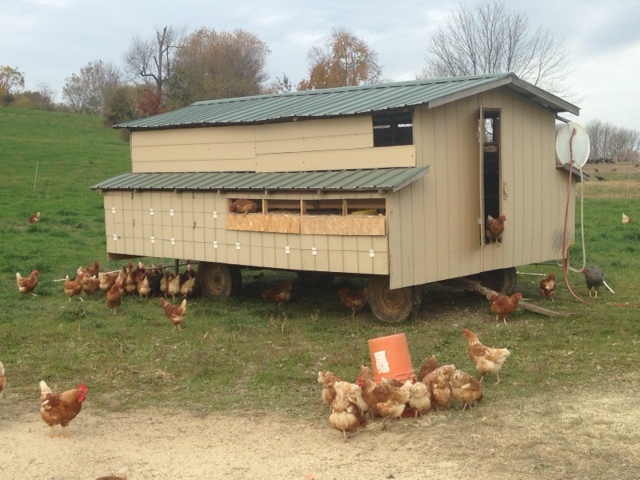 Those with smaller frames, he says, are easier to finish without incorporating high energy corn and grain. Their plans also include growing non-GMO (and eventually, organic) corn and soy beans on site so the animals can feed off that. There is so much in the works it’ll make your head spin. 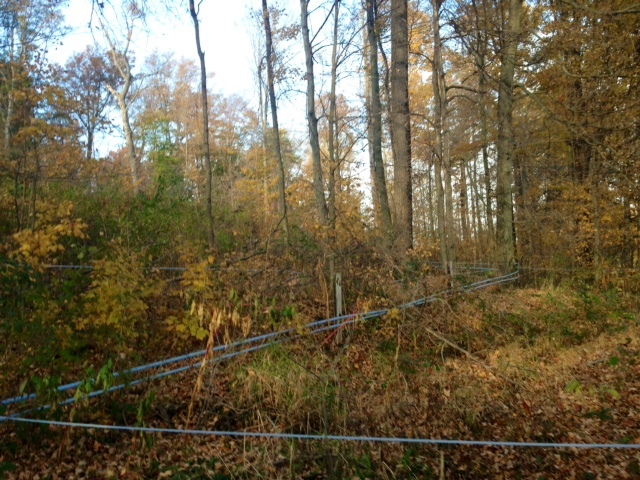 The infrastructure is already in place for maple syrup production. There are hives on site, for bees to pollinate the produce and generate honey. They have secured their cannery, bakery, frozen foods and ferments permits. OCP has acquired heavy machinery like bean snippers and corn huskers to handle the volume when fresh produce “comes in like a hurricane,” as Clatturbuck says. When the store is up and running you can expect incredible products. 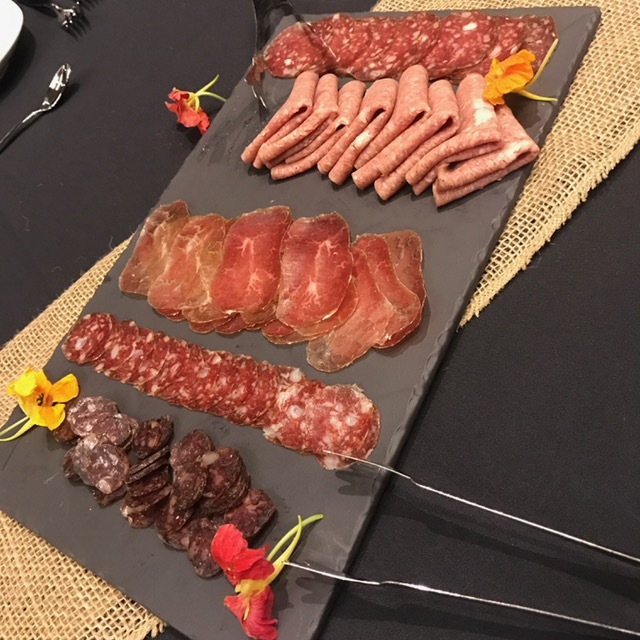 Believe me, I’ve had some of Chef Lambert’s charcuterie and it is unbelievable. A true art. But he’s even upped his game. 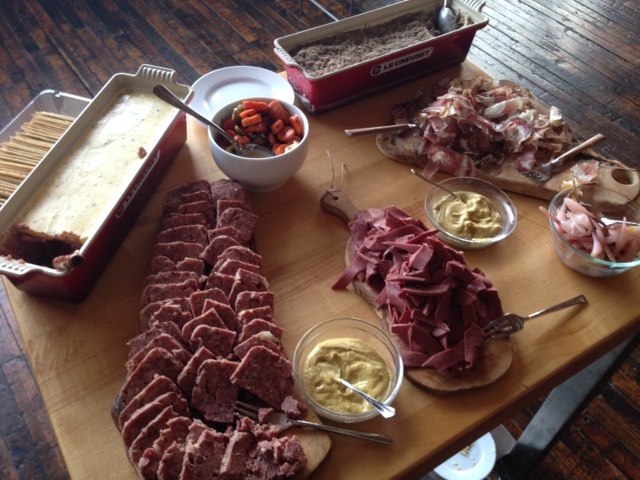 Clatterbuck and Lambert are fresh off a 2 day charcuterie workshop in Gascony, France. And since it costs more (time and money) to raise these kinds of hogs, you can bet they won’t be selling them as pork chops. 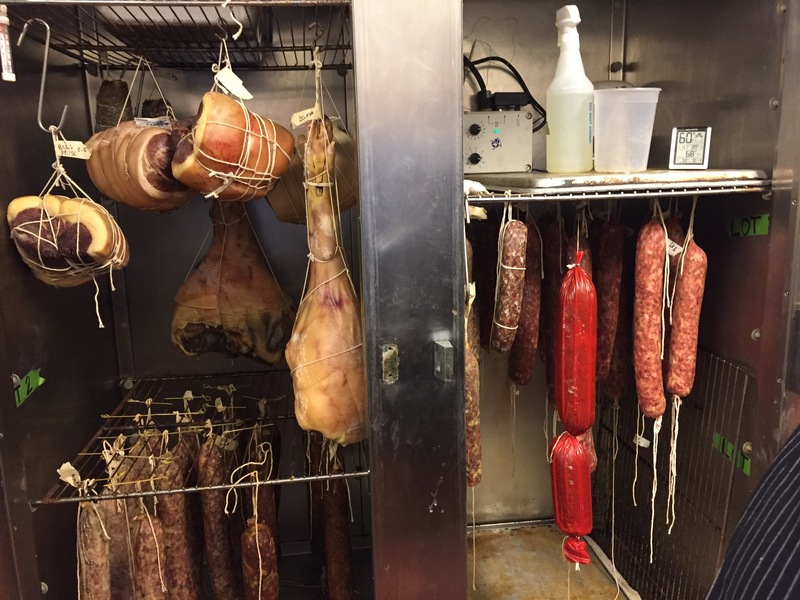 You’ll see smoked and cured meats, specialty sausage and charcuterie. 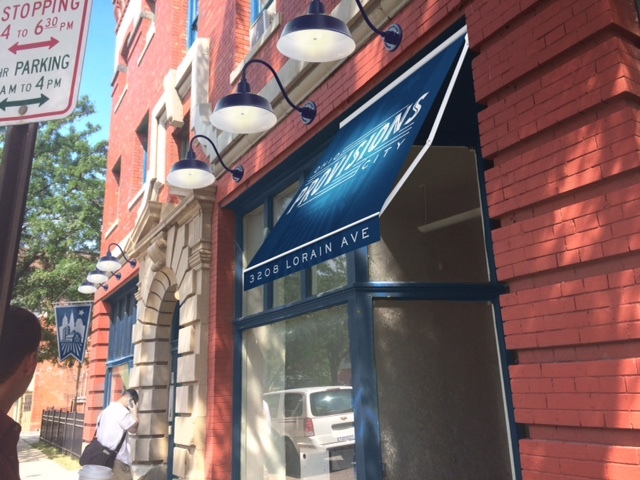 Clatterbuck and Lambert are aiming to open Ohio City Provisions in January. Can’t wait to see what will fill their cases, and the bellies of Clevelanders once they open their doors.